Liam Neeson defies his age yet again as he returns with B-movie genius director Jaume Collet-Serra, who happens to direct a few more of the classic action flicks we know Neeson for (Unknown, Non-Stop, Run All Night). He’s accompanied by a few big names this time around, but that doesn’t stop him from standing out with his role of Michael McCauley, an ex-cop turned insurance salesman. Like most of his high profile action films, namely the Taken franchise, the story is simple and filled with questionable plot holes. However, long-time followers of Neeson would know better to focus on the action scenes, editing, and special effects than nitpick on the premise. 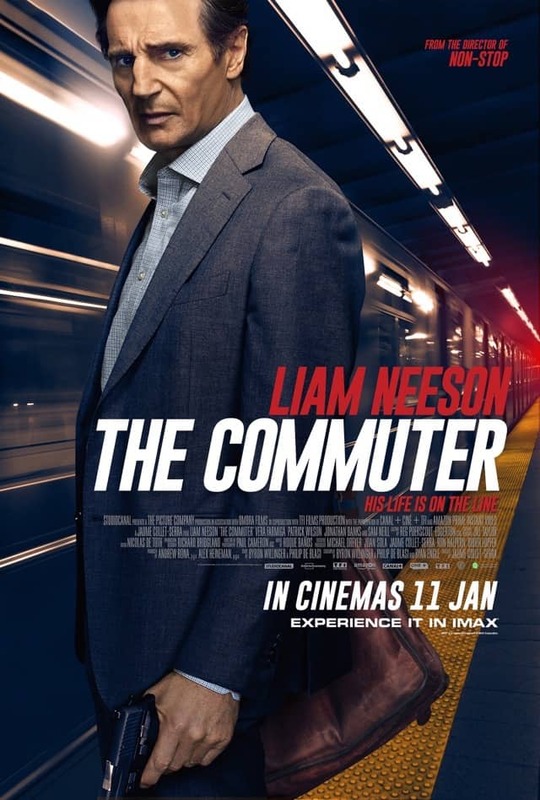 The Commuter wastes no time in establishing Neeson’s Michael as an everyday-man living in the American suburbs, who takes the commuter train to the city and back every day like clockwork. Michael has a wife, Karen (Elizabeth McGovern), a teenage son, Danny (Dean-Charles Chapman), and piles of debt to pay off after the Global Financial Crisis. When our protagonist gets fired out of nowhere for some arbitrary reason, he meets Alex (Patrick Wilson) and Captain Hawthorne (Sam Neil), ex-colleagues from his previous life as a police detective, at a city pub. Matters quickly get out of hand as he boards the usual 6:25 pm train home, first losing his phone, and meeting a mysterious lady by a fake name of Joanna (quite obviously). That’s the point where The Commuter jumps from storytelling mode right into tension-building and action-sequencing mode. Admittedly, the first half of the film is grounded in a logical flow, albeit a little cheesy, while the latter half is where Collet-Serra focuses on keeping moviegoers and fans at the edge of their seats. Even then, we can’t downplay the performances by not just Neeson, but Farmiga and Wilson, who appeared for no more than 20 minutes in total, excluding some phone dialogue (you can’t see Neeson on screen without any phone threats). Michael’s fellow commuters put on a good show too, especially in his confrontations with them. Overall, you will have a fun time watching Neeson punch people in the face and receiving some himself. Moreover, the suspense leading up to non-stop action sequences will keep audiences entertained enough to forgive apparent narrative flaws. 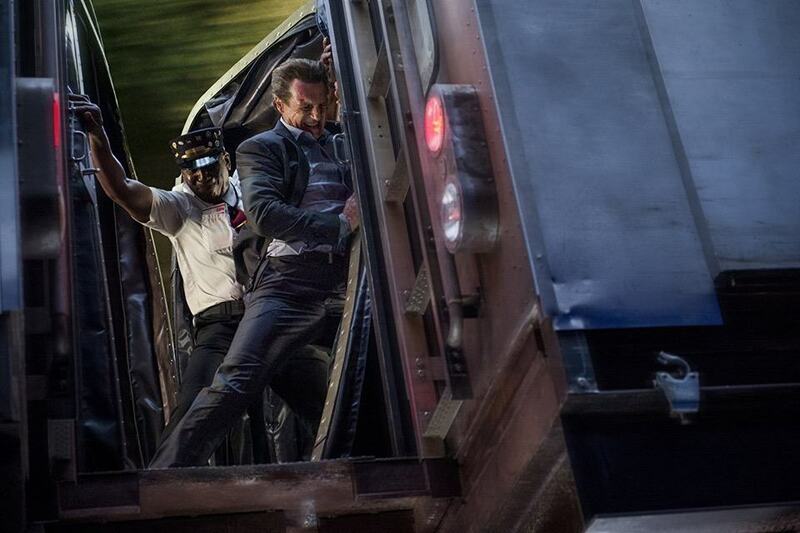 One can only wonder how long more can 65-year-old Neeson continue, so savour films like The Commuter while you can. Summary: The usual entertaining action flick where Liam Neeson is at the centre of good and evil, except most of which happens on an old train with regular travellers and a cheap plot twist.